In any future talks on the nuclear program, the United States can’t exclude Iran’s regional behavior from consideration. 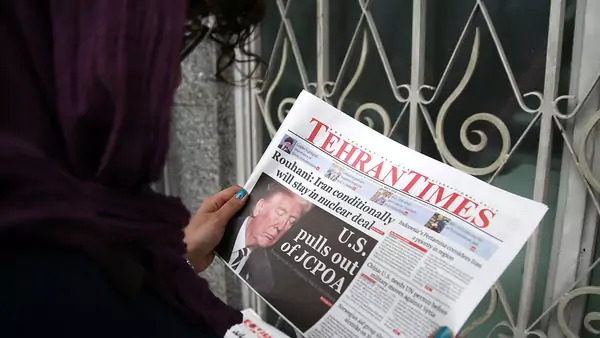 More likely, after all the noise dies down, there will be a new round of arms control negotiations between the United States and Iran. Every president since the advent of the Islamic Revolution has tried diplomacy with Iran, and the Trump administration may not be different. As such, there are important lessons to learn from the demise of the Joint Comprehensive Plan of Action, as the deal is formally known. But former Secretary of State John Kerry’s reckless diplomacy did not stop there. In the process of prolonged negotiations, Iran injected a cluster of “sunset clauses” in the accord that carefully conformed to its research and development plans. Tehran had no use for its stock of primitive centrifuges, which it was happy to mothball, and needed eight years to develop advanced centrifuges. And that was precisely the duration of one of the most catastrophic of the JCPOA’s sunset clauses: eight years. Once Iran’s enrichment program relies on machines that can operate with efficiency at high velocity, then a small cascade of them can reliably produce weapons-grade uranium without the risk of timely detection. More so than any other issue—ballistic missiles or a leaky inspection regime—it was such sunset clauses that undermined the deal’s value and durability. Another of the Iran deal’s fatal flaws was the notion that it’s possible to segregate arms control from all other areas of concern with Iran. To be fair, this was not an Obamian innovation but an idea born in Condoleezza Rice’s State Department. In 2005, Rice introduced the idea of separate tracks, whereby arms control considerations would be somehow separated from all that Iran was doing in the region, including targeting American forces in Iraq with precision explosives. During the Obama years, these contradictions became even more pronounced. There was always something peculiar about all this as negotiators from Tehran and Washington bantered and bargained in European capitals while Iran was rampaging across the Middle East. The Obamains assured critics that to make progress on the critical nuclear issue, one had to ignore what the Revolutionary Guards were doing in the region and to the Iranian people. Such were said to be the wages of arms control. The events since the Iran deal’s conclusion in 2015 demonstrate the folly of this approach. There is always an implicit connection between an adversary’s regional behavior and the durability of a nuclear accord. Even during the era of Soviet-American summitry, it was always easier to sustain an agreement when there was a thaw in superpower relations. During the era of detente, it was possible to have a SALT I agreement. When Russia invaded Afghanistan in 1979, one of its casualties was the SALT II accord. In the end, the Islamic Republic could not implant its flag across the Middle East and aggravate Arab civil wars and sustain the JCPOA. Thus, in any future talks, the U.S. can’t allow Iran’s regional behavior to be excluded from consideration. Yet another lesson here for future diplomats is that any restrictions negotiated on Iran’s nuclear program must be permanent ones—no more sunset clauses. This is hardly a provocative posture, as it was the Obama administration’s own stance prior to 2013. At that time, the official position of all the so-called P5+1 countries (United States, Britain, Germany, France, Russia and China) was that Iran was entitled only to a modest enrichment program that would not expand with time and had to rely only on a small cascade of outdated centrifuges. This was a face-saving way for Iran to proclaim that it had established the right to enrich without the dangers a sophisticated enrichment infrastructure would pose. Any future agreement must return to that period and retrieve that important principle. Given the contentious history of U.S.-Iran relations, any future accord has to be submitted to the Senate as a treaty. Kerry perceived that so long as the United Nations and the Europeans affirmed his agreement, it would be protected from its American detractors. He was dead wrong; Congress rejected the JCPOA and every Republican presidential candidate denounced it. President Barack Obama had to fend off the attacks by accusing his critics as warmongers and threatening Democratic lawmakers with retribution should they assail his legacy project. This was hardly the necessary foundation for sustaining an agreement that was bound to be controversial. What one president protects by executive order another can countermand by a tweet. To secure the necessary bipartisan support for any agreement, there has to be a Senate ratification. This will force any future president to take into consideration the concerns of the opposition party as he approaches one of America’s most enduring adversaries.